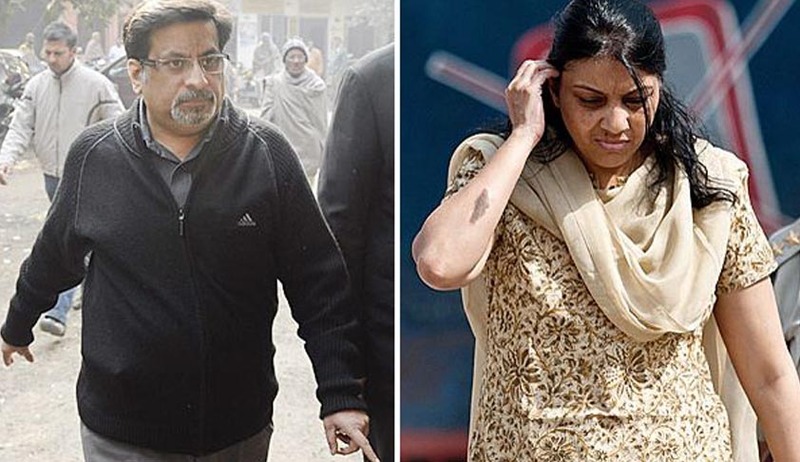 A special CBI court has awarded life sentence to the dentist couple Rajesh and Nupur Talawr, for killing their 14-year-old daughter Aarushi and servant Hemraj, a day after it convicted them of killing Aarushi and Hemraj. During the arguments for sentencing, calling the case 'rarest of rare', death penalty was sought by the CBI for the Talwars. According to defense counsel Satyaketu Singh, CBI counsel RK Saini argued before Additional Session Judge Shyam Lal on quantum of punishment for Talwars, and stated that the killing was a cold-blooded murder and fell in the "rarest of rare" category and pleaded for maximum punishment for the Talwar couple. CBI's argument was countered by defense counsel Tanvir Mir who sought leniency for Talwars, saying the evidence against his clients was weak. Almost five-and-a-half years after 14-year-old Aarushi and her family's domestic help, Hemraj, were found dead in their Noida apartment, a special CBI court in Ghaziabad held Aarushi's parents, Rajesh and Nupur Talwar, guilty of the double murder. The couple was convicted by Special CBI judge Shyam Lal for murder (section 302), destruction of evidence (201) and common intention to commit the crime (34) of Indian Penal Code. The 49-year-old Rajesh was also convicted separately for furnishing false information to the police regarding the murder of his daughter by Hemraj (section 203). The court relied heavily on circumstantial evidence provided by the CBI and said in its judgment that it is proved beyond reasonable doubt that the accused are the perpetrators of the crime. The judge in his 204-page order relied heavily on holy books and edicts to disapprove of the parents' actions. The judge stated that parents are the best protectors of their own children which is the order of human nature but in this case the parents have been “freaks in the history of mankind” where the father and mother became the killer of their own progeny. The court further stated that the parents did not just stop at killing their daughter but also participated in destroying evidence. In his judgment, the Special CBI judge further added that, “If we protect the law, the law will protect us. Both the accused have flouted the penal law of the land and therefore are liable to be convicted for murder, destruction of evidence and having common intention to commit the crime.” Amidst a huge crowd of media persons who were restricted from entering the courtroom, the hearing lasted for barely two minutes. Also, the court complex was placed under strong security cover by the Uttar Pradesh police with three DSPs, three station house officers, 90 constables and a platoon of PAC deployed in and around the court. Arriving in the high-security courtroom at 3.25pm, the judge, who is to retire this month end, summoned both the accused later in the afternoon.